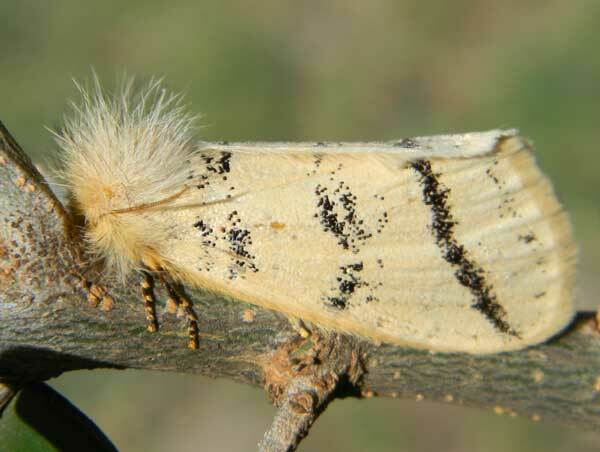 Tiger Moths, family Arctiidae, are often brightly colored and sharply marked. As a result they are a favorite of collectors and photographers. Of course insects aren't interested in pleasing such humans. Typically, the purpose for bright coloration is aposomatic, i.e. it is a warning to visual predators that their bodies may contain toxic compounds. "Don't eat me or you'll be sorry!"